Glass bells finished in Mirror Chrome are suspended from adjustable cables that allow the owner to create their own lighting art piece. The shades have a recessed return in the middle which encases a LED module. Dimmable drivers are housed in the Polished Chrome canopy. 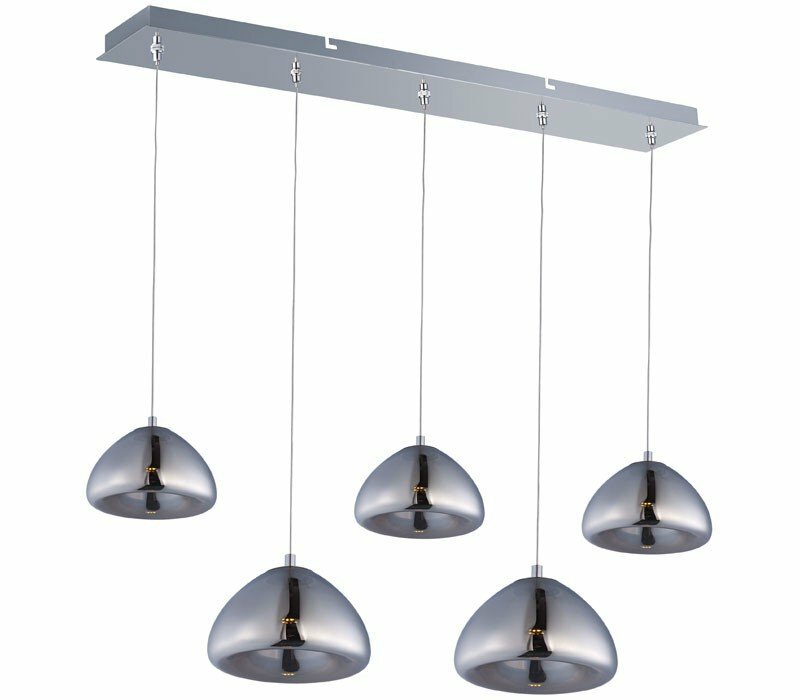 The ET2 E22524-81PC Vive collection Pendant Lighting in Polished Chrome uses LED light output and brings Modern style. This item is 33.75"W. The total wattage is 2.4 and the voltage is 120 volts. The ET2 E22524-81PC requires 5 bulbs (included). Additional Information: Shade-Mirror Chrome.